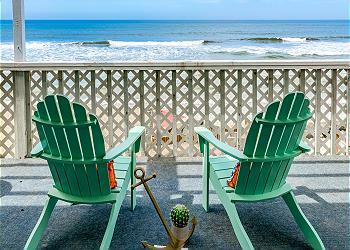 Charming beach rental studio with a fully furnished kitchen, BBQ, private outdoor patio, and a shared semi-private beach. 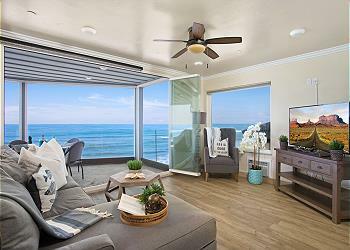 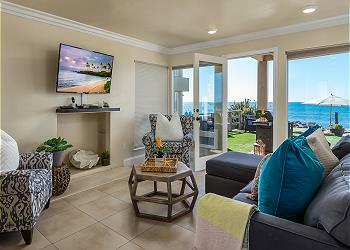 This home is the lower unit of a duplex on the beach in Oceanside, California. 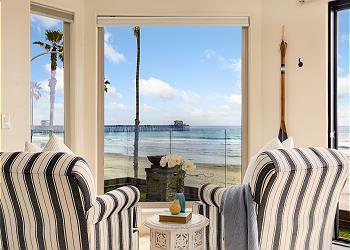 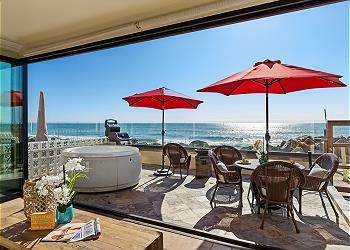 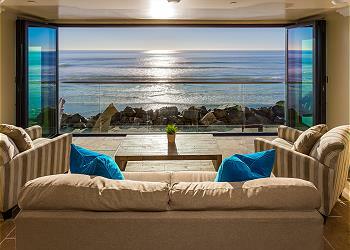 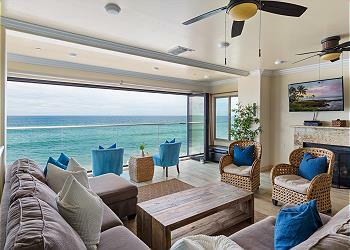 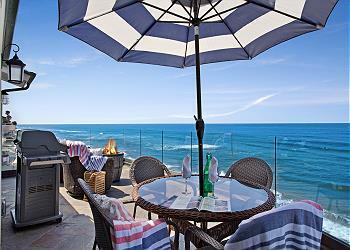 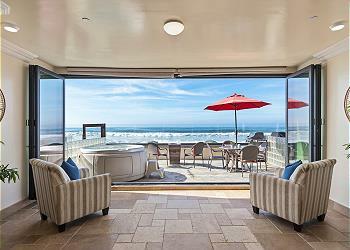 This beautiful upper level condo overlooks the ocean, with views to the west, north and south. 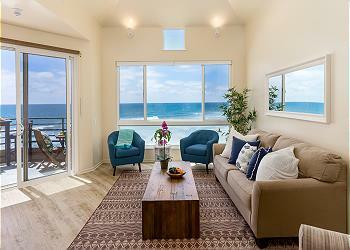 The living area has a fireplace, large windows, and balcony access.